Unlimited Visits, Free Parking And More! Visit California's Great America and Boomerang Bay Waterpark every public operating day in 2019 with a Silver Season Pass. Does not include parking or admission to Halloween Haunt and WinterFest. Just 5 Easy Payments of $9* *After initial payment of $14.99 due today. Or $59.99 total. Enjoy Unlimited Visits to the park and Boomerang Bay Waterpark every public operating day in 2019, including Halloween Haunt and WinterFest, plus Free Parking. 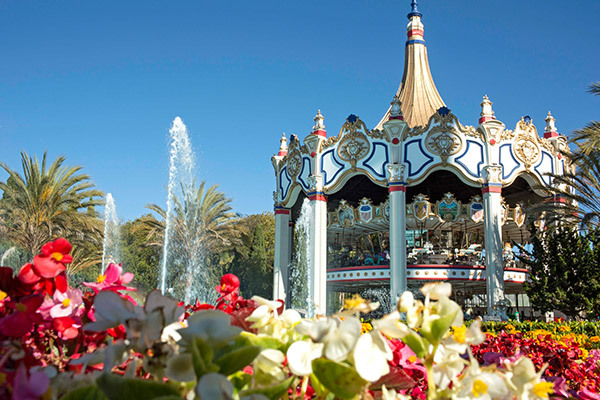 Best of all, your Gold Pass includes 20% exclusive discounts on select food and merchandise, early access times on select dates, admission to Gilroy Gardens and more! Just 5 Easy Payments of $13* *After initial payment of $19.99 due today. Or $84.99 total. 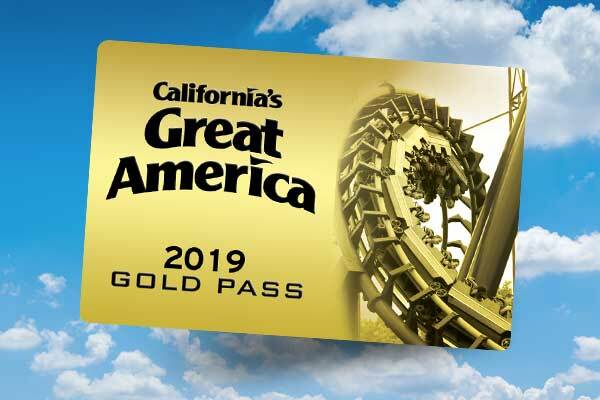 Enjoy all the benefits of the Gold Pass in 2019 with the added benefit of enjoying all of those exclusive privileges at all Cedar Fair Parks across the country, including Knott's Berry Farm, Cedar Point and more! Does not include free parking at Gilroy Gardens. Unlimited fun in 2019. Register online by June 3, 2019 and activate at the park by June 16, 2019. 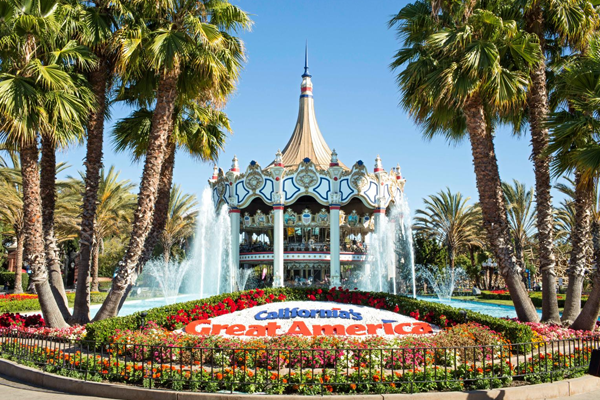 The limited-time California's Great America Pre-K Pass grants complimentary admission to children age three to five years for the entire 2019 public operating season. Be sure to bring your child and a valid birth certificate or passport that shows their age when activating at the park. Get the most up-to-date information on Season Passholder benefits like Bring-A-Friend dates, Early Ride Times and more. Capture a season of memories when you add FunPix to your 2019 Season Pass and get unlimited digital, professional park photos from every visit to California's Great America during the 2019 season. Only valid for 2019 visits. Not valid for WinterFest, Fright Lane or at any other Cedar Fair park. Only valid for visits during the 2019 season. I have a Platinum Pass. Can I use this at other Cedar Fair parks? Unfortunately, there are no Platinum options for this program. The Season Pass Locker Rentals will only be available at California's Great America at this time. Lockers are assigned randomly on a first come, first served basis by the kiosk, so you will have a different locker each time you redeem your rental. Can I redeem a locker in Boomerang Bay waterpark in the day, exit back into Great America, and access my locker after the waterpark closes? If you need to retrieve items from your locker after waterpark closing, please see Boomerang Bay’s gate attendant. 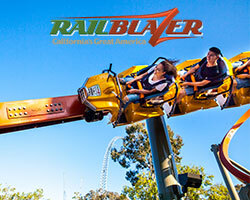 If you choose to redeem a Boomerang Bay locker, you may not redeem a California’s Great America locker on the same day. Your Season Pass Locker Rental is only good once per day, per park, so you will be able to move your locker one time from a Boomerang Bay location to a California's Great America location.